Updated: Flood-damaged grain is contaminated and at higher risk for mold. This Iowa State University story discusses how to manage stored grain that may have been exposed to flood waters. How Does Cover Crop Planting Date Affect Soil’s Susceptibility to Water Erosion? This Nebraska student study of how cover crops planted pre- and post-harvest affected soil erodibility found that the amount of water-stable aggregates and biomass production increased with pre-harvest planting. The stored grain temperature increases in the spring not only due to an increase in outdoor temperatures, but also due to solar heat gain on the bin. Ken Hellevang, North Dakota State University Extension grain drying expert, outlines steps to maintain stored grain quality this spring. 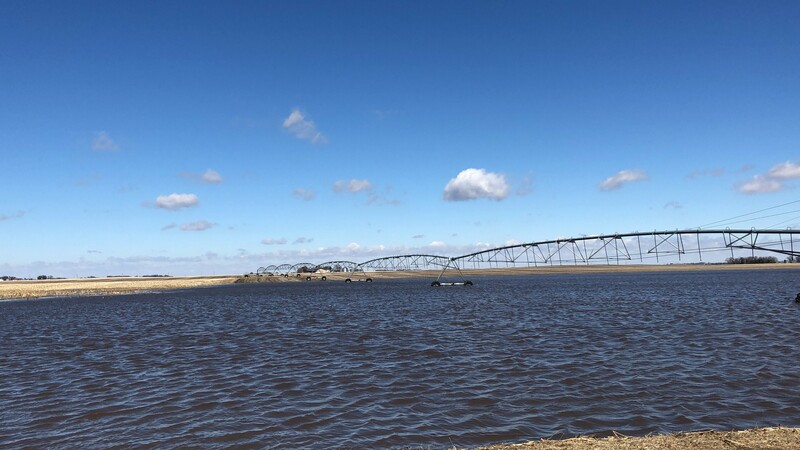 Program topics this week include the 2019 Nebraska Farm Real Estate report, tips for kicking fears about grain marketing, solar energy for ag, and the forecast for the coming week.